The small Saudi Arabian city Yousef Almaliki grew up in reminds him of Cheney. Almaliki, who’s studying mechanical engineering at Eastern Washington University, first came to the U.S. in January 2013 for an intensive English language program, with the intention of attending college afterward. He began his studies at Eastern in the fall of 2014. “It’s not just for school, it’s also to learn about culture,” he said of his decision to go abroad. He chose Washington in part because his sister and brother-in-law had already settled in Cheney. Though his family now lives in Riyadh, Saudi Arabia’s bustling capital, he grew up in a smaller mountain city near Saudi Arabia’s southern border with Yemen. There, cool weather and rain were common. “I didn’t get culture shock when I came here. I get culture shock when I came back home for break,” he said. 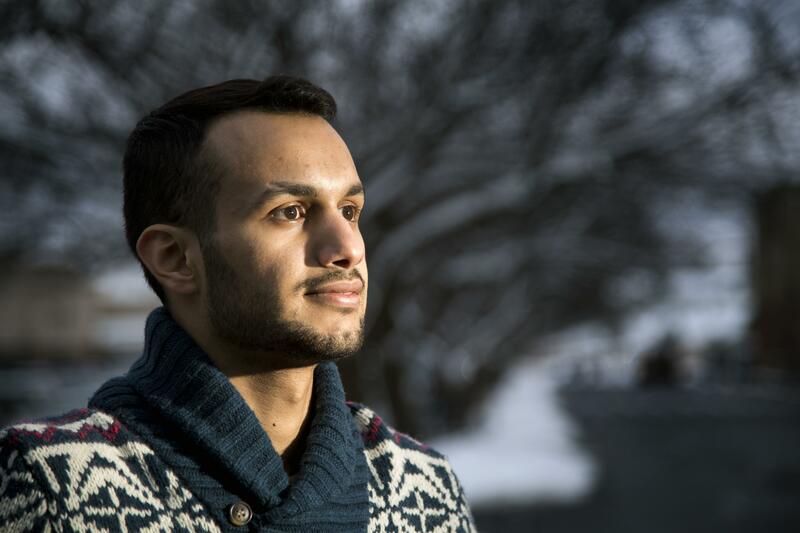 To get his visa approved, Almaliki had to show he was accepted into a university program and prove he and his family had enough money to pay for his education: about $37,000 in the bank for tuition and living costs. Eastern doesn’t offer scholarships to international students, though many private colleges do. Almaliki said there are a lot of engineering jobs open in Saudi Arabia and he hopes to return home to work there, though he’s also thought about staying in the U.S.
“It’s kind of a dream because I really like tools and fixing engines,” he said.